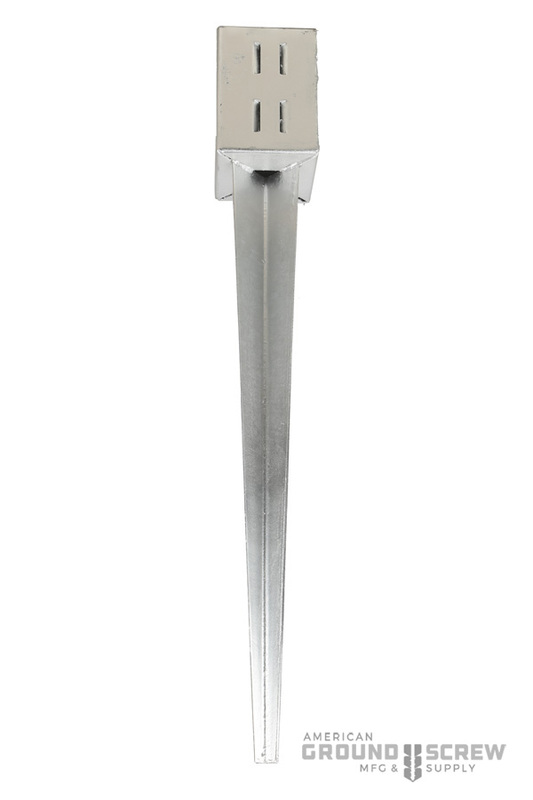 Square Ground Screw — American Ground Screw Mfg. 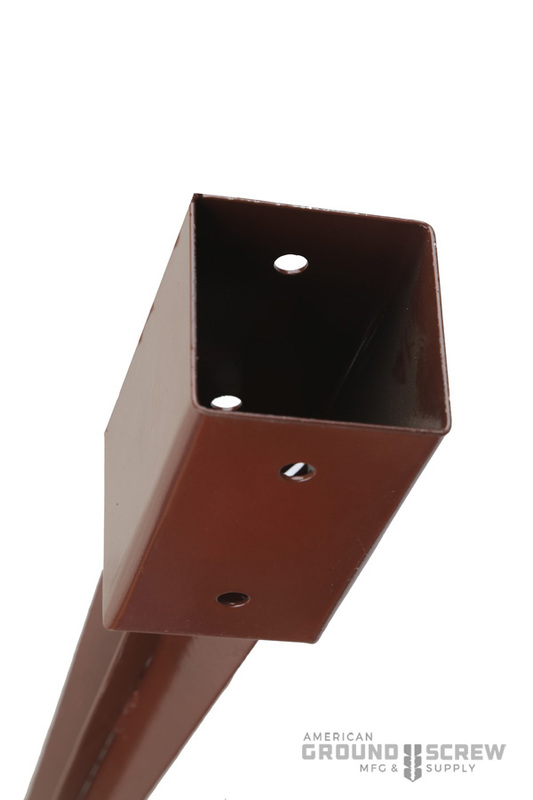 Timber ground anchors are usually used for wood connector or timber house construction. The diameter can be 71x71mm, 81x81mm, 91x91mm, 101x101mm, 121x121mm, 151x151mm and the length can also increase according to your requirements. As for the top of ground anchor, we have various types. You can choose according to your timber sizes. 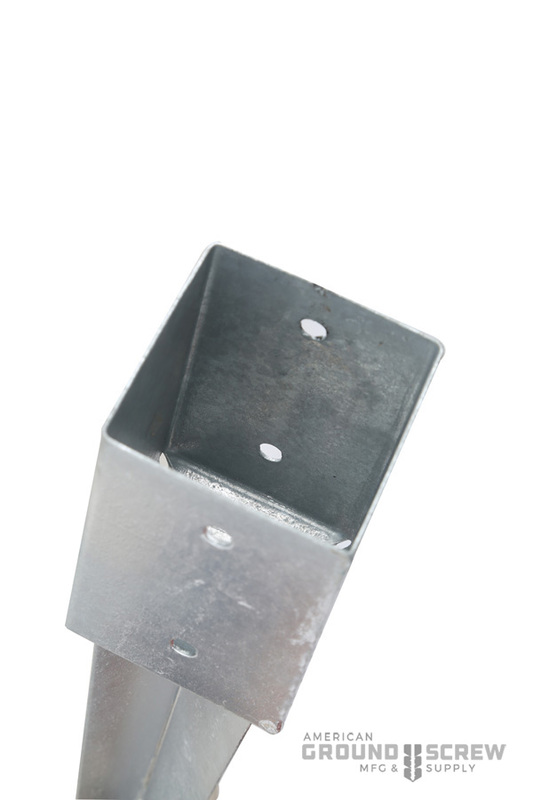 Timber ground anchors can stick to the soil fastenly and will not rust and transform. 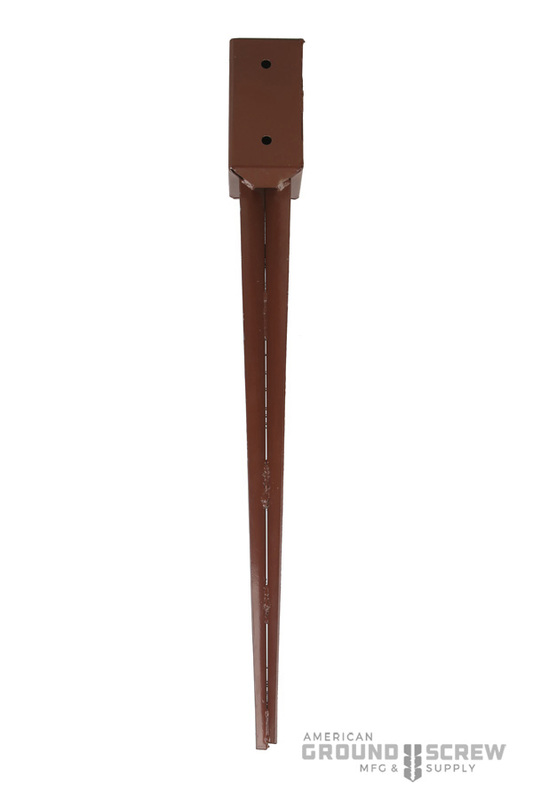 Pole anchor is one of the best ways to secure a wood post in the ground. 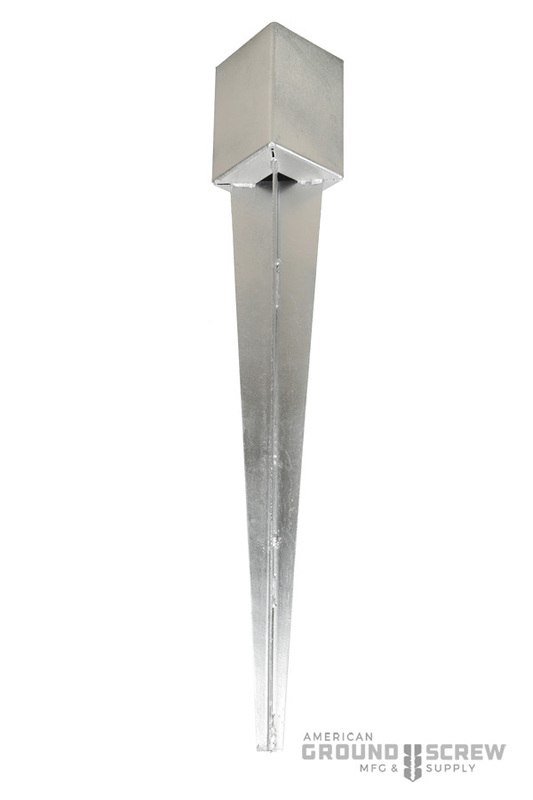 Pole anchor is not only extremely fast to install but can also help prevent your wood post from premature rot that can occur with direct burial in the ground. Pole anchor can also protect the wood from damage and from weed eaters when the top sleeve is left exposed above the surface of the ground. Regardless of what you plan to build with pole anchor you can be sure that your pole anchor will be sturdy and long lasting for many years to come. 2.8" x 2.8" x 29.53"
3.58" x 3.58" x 53" x 29.53"
3.19" x 3.19" x 29.53"
3.98" x 3.98" x 35.43"